With such notoriety, Fikri Jermadi decides that it is timely to look at one of football’s most interesting documentaries in recent times. Since the World Cup is nearly upon us, I figured it would be timely to check out a couple of football-related films. There’s quite a lot of these films out there, ranging from shorts to feature-length versions, all covering quite a number of very interesting stuffs. Predictably, a fair amount of them is in the documentary genre, given that the very thing that makes football incredibly captivating is its unpredictably rooted in reality. Ironically, people often talk about football having a Hollywood ending. 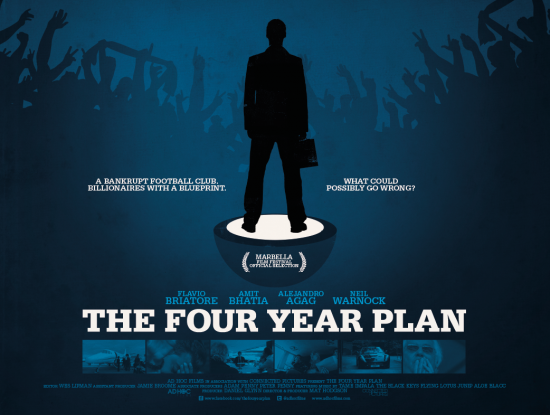 I write this having watched ‘The Four Year Plan’, a documentary that looks the fairly turbulent years enveloping Queen’s Park Rangers, on the day that QPR themselves were due to take on Derby County in the final of the Championship playoff. The winner will be promoted to the English Premier League, and it has been bandied around as the most expensive game in the game, with a carrot of 120 million pounds dangling at the end for the winners. Bernie. You rarely see him, though. We got back to humbler beginnings, though, in the year 2007. At the point of liquidation, with enormous debts and even bigger holes on the playing pitch (so to speak), one of the most formidable group of investors came in and took over the club. 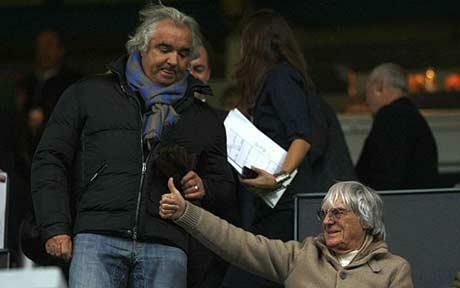 Consisting of steel magnate Lakshmi Mittal and his son-in-law Amit Bhatia, as well as well-to-do (and that’s putting it mildly) Formula One personalities Bernie Ecclestone and Flavio Briatore, the club when from having zero in its accounts to not being able to count the zeros at the end of the bigger numbers. It was an amazing turnaround of events, one not seen all that often. Yes, a number of other clubs have been bought by other people before, it’s not all that different. Yet, the situation being portrayed on screen is not all that far from the truth: had they not come in to pump their cash, the proud club that is QPR would probably have gone under. For my part, I was first truly aware of them because of Trevor Sinclair’s bicycle kick. Such bankruptcies hasn’t really happened in the higher echelons of the English game. The biggest example I could think of is Fiorentina, who went bankrupt and went out of existence. Reformed in their stead was AC Fiorentina, who started right at the very bottom of the pyramid in Italy. Many of the players took flight and left, but not Angelo Di Livio, who stayed and provided the experience to steer the ship within those first few steps taken by this new club. 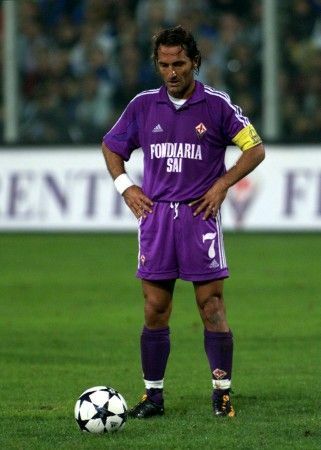 The club we now know as Fiorentina in Serie A is actually this club, rather than the entity that owned Batistuta, Rui Costa and Baggio in their prime. Think UMNO and UMNO Baru, and you have the idea. Di Livio. What a player. It would not have been as likely that as meteoric a rise for Queens Park Rangers would have happened. Fortunately, they didn’t have to test the waters so much, so we were the beneficiary of this wonderful, fly on the wall effort that may well be the most intriguing football documentary I have seen. What’s that? Yes, this is an incredible piece of work. The owners have decided to fund this and title it after their master plan: to reach the English Premier League within four years time. You’d think, though, that someone would be on hand to remind them about that. The very unique thing about this documentary is that all of the major players at the club were wired up. There we are, having a look at how the upper echelons watch football with a very whimsical attitude. You’d see their disappointment, and you’d think, “Yeah, that’s the heat of the moment, there.” You don’t think of them holding it all the way till next week. But they do. There they are, sitting around the table with fairly recently appointed manager Paulo Sousa, who appeared to be an urbane and wise choice initially, but he was then very quickly cast aside for a fairly minor indiscretion. Look, there’s Paul Hart! Appointed as manager, he was sacked after around five games. 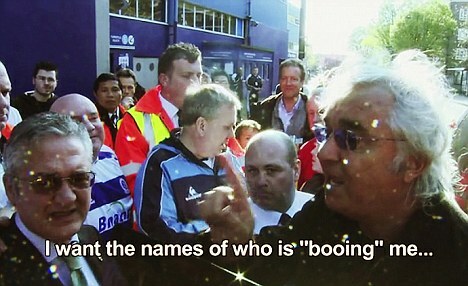 To be perfectly honest, I had forgotten that he was even a manager of QPR. The same goes for Iain Dowie and Gareth Ainsworth, who took over as caretaker player-manager for a few games. 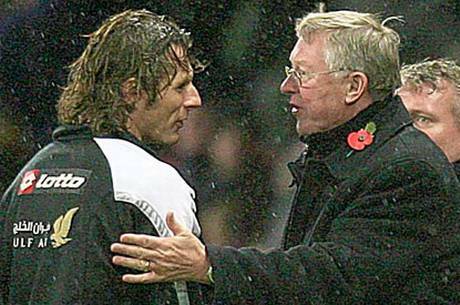 They eventually settled on Neil Warnock, and stuck with him the longest. There’s an intriguing moment, during a match when Briatore very strongly told his chairman, Gianni Paladini, to make a substitution and get Gavin Mahon on the pitch, who would promptly score a goal. The look of vindication, and the hardening of beliefs that they, the owners, are right and know more about football relative to the manager and coaches, was apparent. A lot of work went into making this documentary, with plenty of cutaways to refer to. There, a shot of the players training. Now, the sun setting at Loftus Road, QPR’s home stadium. It is the very definition of access all areas, though the views of the players weren’t put forth as much as I thought they might have. I think it would be interesting to be a fly on the wall in the dressing room as well, but they were usually only seen when the principle owners were around. It could be that the owners themselves were the ones who agreed to be filmed at all times, but because they are pretty much everywhere, we get to be everywhere as well. And the keyword there is ‘we’. The point of view taken here is that of someone who is there as these events are going on. Initially, I had thought that the camera would have been a very obvious intrusion into the proceedings, and it let me to wonder whether what was said on camera was done as naturally as they had wanted it, or whether there was some acting involved. I don’t quite know, but I suspect that after a while, everyone got used to being filmed, even if they may not be sure what it is for (for a club like QPR, it is not unbelievable that they would have a kind of documentation going on at almost all times; by that point, I suspect the camera had become ‘invisible’). What we get, then, is a sense of madness that pervades the behind the scenes of a top football club. It makes you wonder what would be shown in documentaries about Chelsea or Manchester City. The documentary itself was well-produced, with ideally placed shots. The filmmaking team, led by Mat Hodgson, knew what they were doing; it must have been a challenge to compress four year’s worth of footage into this film. I can’t imagine myself doing that. On a side note, QPR managed to beat Derby in the Championship playoff final and reach the Premier League again after being relegated in 2013. Fikri was disappointed to see Cardiff City relegated this season; would have been fun to see what Tony Fernandes and Vincent Tan get up to in the same match.